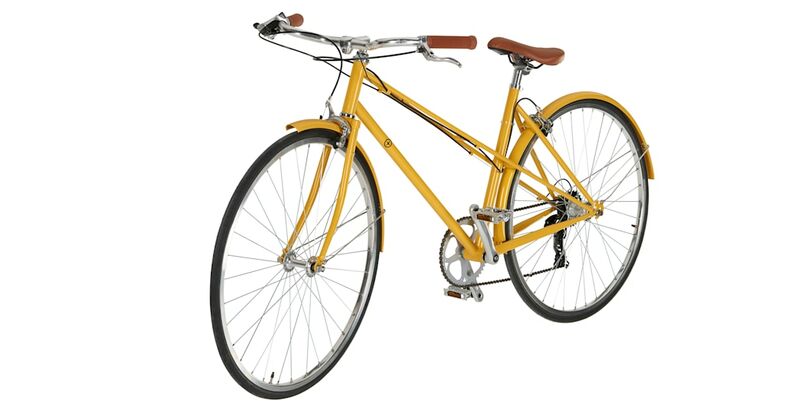 Ideal for city or countryside riding, Bloomsbury comes in mustard or charcoal gloss finishes – with a removable mudguard – so you can travel in style. Plus, this sophisticated bike is easily fitted with baskets, bells and accessories. Check out our range of helmets in design-led finishes of matt black, copper and brass to keep you safe en route. Bloomsbury is ideal whether you’re in the city or the country. A 7-speed bike with gears by industry leaders, Shimano Gears, Bloomsbury is fitted with a lightweight, high-grade steel frame for a smoother ride.